Female activists in Saudi Arabia, a key ally of President Trump, are being detained in cruel and inhumane conditions that could be classified as torture under both international and Saudi law, a cross-party panel of British MPs has found reports The Week. A report compiled by Conservative MP Crispin Blunt, Liberal Democrat Layla Moran and Labour MP Paul Williams claims that eight female activists arrested over the past year have been subjected to sleep deprivation, assault, threats to life and solitary confinement. The Guardian says “the conclusions indicate growing unease among western allies over alleged rights abuses under Crown Prince Mohammed bin Salman, the kingdom’s de facto leader, who is already facing opprobrium over the murder of the journalist Jamal Khashoggi last year”. Salman, known as MBS, has brought in a number of liberalizing reforms such as allowing women to drive for the first time. However, he has also launched a crackdown on dissent – including detaining a number of high-profile female activists. The Daily Express says one of those detained, Loujain Al-Hathloul, “who once graced Vanity Fair alongside the Duchess of Sussex, is languishing in a Riyadh prison cell after being jailed for fighting for women’s rights”. 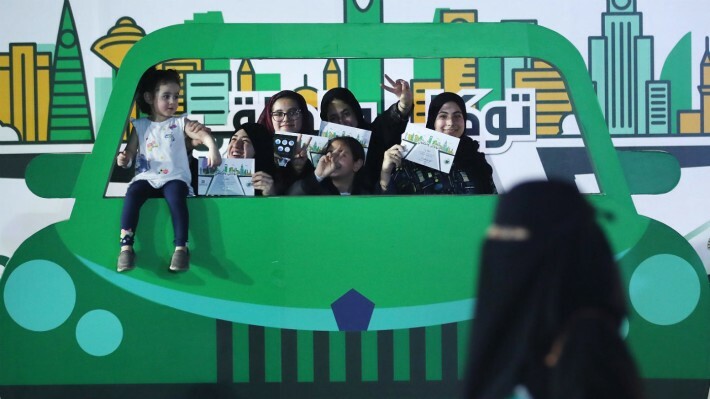 The flight of Saudi teen Rahaf Mohammed to Thailand last month focused global attention on the issue of male guardianship, the system whereby all Saudi women need permission from their closest male relative to marry, apply for a passport or leave the country. Second classRights groups say the arrangement “turns women into second-class citizens, depriving them of social and economic freedoms and making them more vulnerable to violence” reports Reuters. The number of refugees fleeing the Kingdom has rocketed in recent years, spiking in 2015, the year Salman emerged in the kingdom's political scene. “You have people fleeing political repression, and that's very easily tied to MBS and what he’s done. And I think that the number [of refugees and asylum-seekers] you're seeing here is indicative of that,” Human Rights Watch Middle East researcher Adam Coogle told CNN. Yet while the rise in Saudi refugees has attracted the attention of the international press, it is the mass exodus of foreign workers that will be of most concern to Riyadh. The Washington Post reports that around 1.1 million foreigners left the Saudi workforce between early 2017 and the autumn of 2018, coinciding new restrictions against foreign workers in some sectors and the introduction of a levy on dependents of expatriates. The exodus has “added to a sense of uncertainty as Saudi leaders struggle to attract foreign investment”, says Middle East Eye, the result of an “anti-corruption” crackdown which has seen the arrests of hundreds of business executives and officials, as well as continued backlash to the murder of journalist Jamal Khashoggi by Saudi agents in Istanbul. "Female activists in Saudi Arabia, a key ally of President Trump" Why are female activists a key ally of President Trump? That's the lead in sentence and is never again mentioned in the article. I think the entire world is suffering from TDS (Trump derangement syndrome) You know you are doing something right when so many people resent and are jealous of you.